Robert “Arnie” Arneson who taught at U.C. Davis in the 1960s is regarded as the “father” of ceramic Funk art, a then-new style of art that employed common objects to make bold, sometimes brash statements about society. Witherell’s is proud to offer for sale many works by highly regarded Northern California artists. Our region seems to spawn a high level of creativity which is reflected in the works of renowned artists such as Gregory Kondos, Sacramento’s premier landscape master and Gerald Walburg whose sculptures adorn many public spaces. 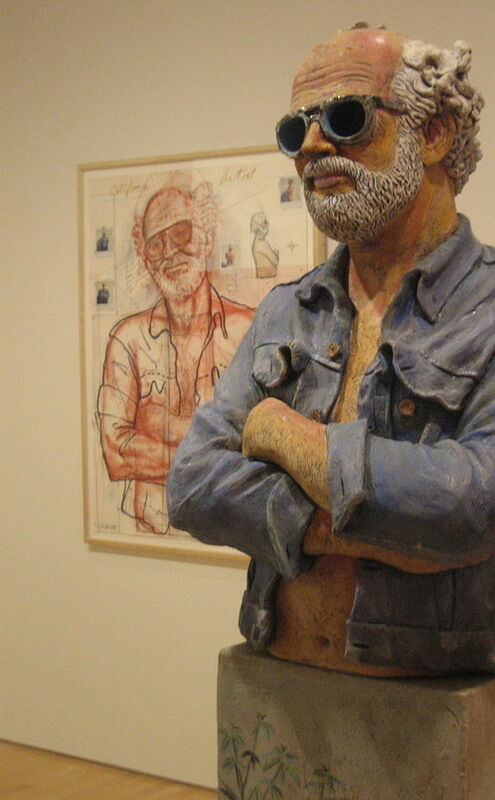 Some regional artists spawned important movements that contributed greatly to changes in the American art scene – Robert Arneson’s work, for instance and the “funk” artists who emerged from U.C. Davis to national prominence. I feel a particular affinity for the art that springs so naturally from our region and impacts the world with its uniqueness and contribution to the art world. Please, think of us when looking for a qualified and interested buyer for works made by our prized Northern California artists. We offer works in online auctions that reach the world and also in private sales. And, if you wish to have an appraisal of an artwork, I am happy to assist. If you have additional information on the artists listed here, kindly send them along and we’ll add it to our growing family of famous regional artists. Enjoy!